The tiny island nation of Niue, situated in the South Pacific Ocean, is the perfect example of a small nation with big ambitions on the precious metals stage. Gold Niue Coins are available from a vast array of coin programs, most of which are struck by the New Zealand Mint out of Auckland, New Zealand. The New Zealand Mint may not be a sovereign minting facility, but it does plenty of work minting sovereign coins for other nations in the South Pacific. Among the collection of Gold Niue Coins you’ll find some stunning offerings, all of which are available in a variety of sizes that make them attractive to and affordable for any investor. Take some time to peruse the paragraphs below and learn a little more about Gold Niue Coin programs, you might be surprised by what you find! The New Zealand Mint is famous for the production of numerous character coin programs, but there are few more popular than its Disney-themed coin collections. Among them, the Mickey Mouse Through the Ages collection is one of the hottest sellers at the moment. Founded on the back of a single mouse and the vision of Walt Disney and his brother Roy, the Disney Corporation is one of the largest and most profitable businesses in the world today. Its variety of products and characters range from the lovable couple of Mickey and Minnie Mouse, to its theme parks of Disneyland in California, and the massive Disney World facility in Orlando, Florida. It was only a matter of time before these beloved characters who have dominated popular culture for more than 80 years came to the precious metals industry. From there, Mickey Mouse has exploded into a global cultural icon that is recognized easily by children and adults around the globe. The Mickey Through the Ages collection from the New Zealand Mint chronicles the maturation and appearances of Mickey Mouse over the course of his early animated shorts and, eventually, more recent films. The following paragraphs explore the Gold Niue Coins from the Mickey Through the Ages collection currently available online from Silver.com. On the reverse of each coin is the image of Mickey serving as the conductor of the band, standing on a small soapbox with sheet music strewn about on the floor in front of him and musical notes swirling around. On the reverse of each 2016 Niue Mickey Mouse Brave Little Tailor Series Gold Coin you’ll find the image of Mickey Mouse as he leaves the town and sets out in search of the giant he must kill. Plane Crazy was released in 1928 as an animated short featuring Mickey and Minnie Mouse. In the film, Mickey attempts to build his own airplane using scrap car parts and farm equipment on a farm with the help of some of his friends. The film marks one of the first appearances of Mikey together with his girlfriend Minnie, who gives him a horseshoe for good luck before his flight. On the reverse of the 2016 Niue Mickey Mouse Plane Crazy Series Gold Proof Coin is the image of Mickey holding the horseshoe from Minnie Mouse as he sits in the cockpit of his plane. Engravings include the weight, purity and metal content, as well as the copyright symbol of Disney along with the year of release and name of the film. As hard as it may be to imagine today, Mickey Mouse was actually experiencing a dip in popularity during the late 1930s and into the early 1940s. Walt Disney released Fantasia starting in November 1940 with a storyline originally planned for an animated short as The Sorcerer’s Apprentice. It was written into the storyline of Fantasia as Disney’s third-ever feature film. Each new design features Mickey Mouse from a different iconic role, with this release inspired by his role as the Sorcerer’s Apprentice in the film Fantasia. On the reverse of the 2017 Mickey Mouse Fantasia Series Gold Proof coin you’ll notice Mickey Mouse in his role as the Sorcerer’s Apprentice in the film. He is depicted giving orders to a mop as it carries two pails of water for him. Fantasia was the third full-length feature film ever created by Walt Disney, and released in November 1940. Consists of One-Half Gram (.016 Troy oz) of .9999 fine gold. Consists of One-Quarter Troy oz of .9999 fine gold. Consists of One Troy oz of .9999 fine gold. All of the coins in the Mickey Through the Ages collection of Gold Niue Coins are available with individually numbered Certificates of Authenticity to validate your purchase, making for the perfect collectible piece for any serious numismatist. Additionally, the coins in the Mickey Through the Ages collection all share the same obverse design facets. The obverse of all Gold Niue Coins from this collection bear the traditional right-profile portrait of Queen Elizabeth II. Created in 1998 by Ian Rank-Broadley, this serves as the fourth-generation image of Her Majesty and features on all commonwealth coins. The island of Niue is located in the South Pacific Ocean, roughly 1,500 miles northeast of the nation of New Zealand, east of Tonga, south of Samoa, and west of the Cook Islands. The island itself is just 100 square miles in size and has a predominantly Polynesian population of around 1,190 people. When you purchase Gold Niue Coins on Silver.com, you’ll find a number of payment methods available to complete your transaction. We accept Visa and MasterCard credit and debit cards, as well as paper checks, Pay Pal transfers, and bank wire transfers. Credit and debit cards have a maximum purchase of $5,000 and generally take one business day to process. 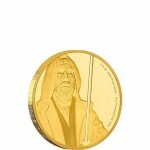 If you have any further questions about Gold Niue Coins, please don’t hesitate to ask Silver.com. Our associates are available on the phone at 888-989-7223, or you can connect with us online using our live web chat and email features. And be sure to check back with Silver.com as future releases of Gold Niue Coins become available from the New Zealand Mint!